From in-house dispensaries and THC dinner parties to CBD cocktails and spa treatments, cannabis may be on offer at your next hotel stay. Like beauty brands, fashion labels, and product designers, hotels are jumping into the Green Rush. 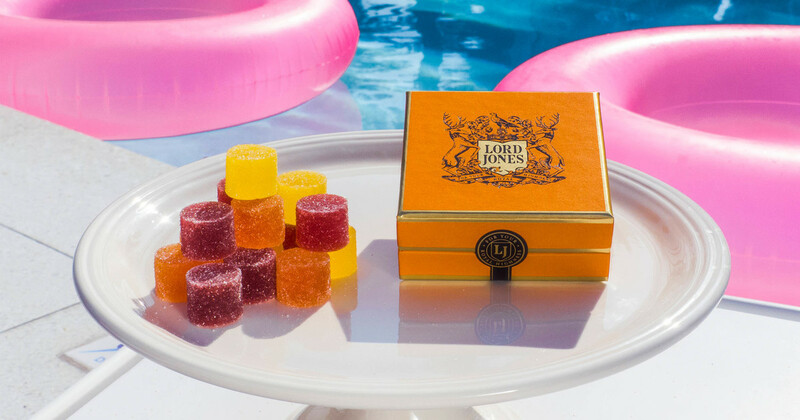 Later this year, guests checking into The Standard L.A. will be able to purchase small batch THC chocolates and gummies when a partnership with boutique cannabis brand Lord Jones will make the property the first to have an in-house dispensary. “Our brand has always strived to elevate cannabis as a category and we will continue to do this throughout the hotel by providing room service, cannabis activations at the pool and nightclub, as well as providing best in class service and education in the store itself,” says Lord Jones CEO Robert Rosenheck. The Standard may be the first to showcase an on-site shop, but other hotels have been testing the waters. The Thompson Seattle captured headlines in 2017 when it hosted a dinner party with chef Derek Simcik’s cannabis-infused tasting menu. The Jupiter Hotel in Portland offers a cannabis package that includes a vape pen, edibles, and a copy of DOPE Magazine. Slow-roll legalization has prevented hotels in most markets from a more fulsome entry into cannabis, but CBD products and services are one way they’re currently working around a full embrace of the plant. The Hollywood Roosevelt’s CBD mojito was such a hit they added three CBD-laced desserts to the menu. In West Hollywood, the Petit Ermitage hosts a seven-course meal prepared by chef Christopher Tan. It might just be what you need to stay calm after getting the room service bill.